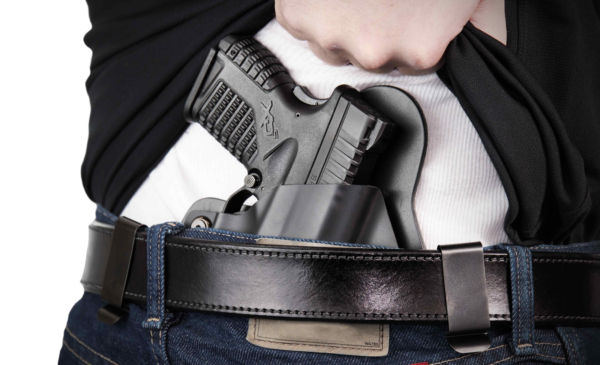 When it comes to self-defense, carrying a sidearm is only half the battle. When you are in a situation where you need to draw your gun from its holster, muscle memory and speed are important. Drawing your gun on someone is stressful. You might be fearing for your life and it’s the first time you have ever pointed a gun at someone. Odds are you’ll be a bit shaky handed. Think of it like eating healthy and exercising: people know they should do it, but it’s just easier not to. However, when something bad happens, you instantly know where you should have put your efforts. The tips below may seem a little on the basic side, but they are fundamental to being a responsible gun owner. Training is important, but people often slack on it. Why Should You Practice Your Draw? The old adage “practice makes perfect” really applies here. The more you practice your draw, the better you will get at it. When you have done the same movement a hundred times, you’ll feel a bit more comfortable. When you have the same move 100 times each wearing different clothing combinations, you will feel a lot more comfortable. What Exactly Do You Need to Practice Your Draw? The list of items you need to practice your draw is pretty short. You need your gun (obviously!) and the holster you wear when you conceal carry. If you carry or plan to carry an extra magazine, you can use the spare mag and pouch when you’re training too. I would also recommend starting simple. Wear something that you would normally wear such as a t-shirt. Something you don’t need is ammunition. In fact, unload your gun and magazines and move to a different room so there is a zero percent chance you will have an accidental discharge. Aside from scaring the hell out of you, it is extremely dangerous. In place of real ammo, use dummy ammo. Dummy ammo or “snap caps” lets you train for different scenarios without the worry of an accidental discharge (better safe than sorry). In the case of your draw, you can make sure your trigger safety is on point. You can also draw, pull the trigger, drop the magazine, load another, rack, and pull the trigger again, without worry and without potentially damaging your firing pin, or at least with less strain on it. There are a lot of obstacles that could throw everything you practiced out the door. Seasonal clothing, for instance. That includes your big ugly Christmas sweater, as well as a jacket or sweatshirt. Even a dress shirt instead of a t-shirt can make a big difference in your shooting. Keep in mind that you won’t always have both hands free when you need to draw your gun. You might be loading groceries in your car, playing on your phone at the gas pump, sitting at a stop light in your car, or have an umbrella in your hand. How do you know how to handle these situations? Fill up some paper bags with something to simulate groceries and practice dropping or tossing the bag and drawing your gun. Have an umbrella in your hand? Toss the umbrella forward to give yourself a second to draw your gun. Where Can You Practice Your Draw? While you can practice your draw just about anywhere, I would recommend somewhere in your house where people aren’t going to panic when you draw and aim your weapon. That means not in front of a window at night. A passerby might think you are trying to commit a crime if they see a silhouette of a person drawing their gun and pointing it. Another thing to remember is no ammo in the room. 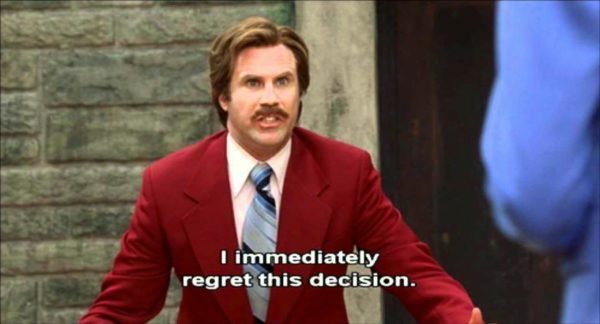 Everyone who has had an accidental discharge says they didn’t think it would happen to them because they were always careful… except, of course, the one time the gun went off. 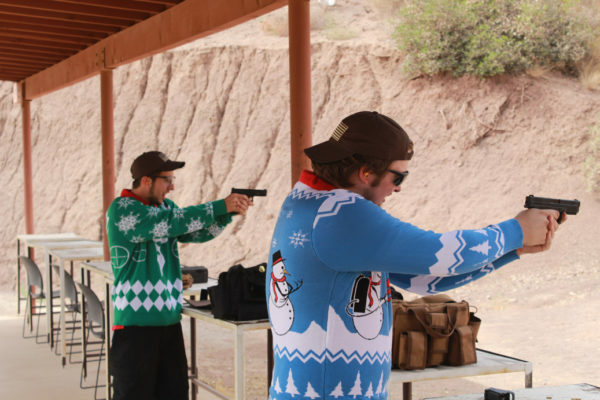 As you get more comfortable with the draw, aim, and trigger squeeze, you can practice at a range. 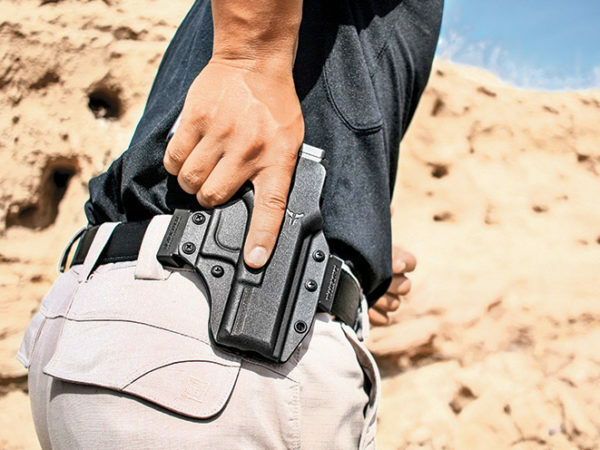 This will let you get more comfortable with the process as a whole, but be aware that some ranges, particularly indoor ranges, don’t allow drawing from a holster. What Should You Do to Practice Drawing Your Gun? There are two primary types of draws. Think about the old Westerns. When the two guys are on the main street in town at high noon in front of the saloon (it’s always in front of a saloon) and they draw their gun and shoot, it’s a short draw: they keep their gun close to their body and fire. The other draw is the same as draw 1, except you are extending your arms more toward the target before you shoot. Which one you use in a real-world situation will depend on the situation. Most of the time, you need a quick initial shot. The added time it takes to bring your weapon all the way up to your eye level might be too long for your initial shot. When you are in a situation where you are drawing your gun for your safety, you are likely going to surprise the person on the business end of your barrel. If you take a long time to draw, aim, and fire, you are giving them more time to squeeze the trigger out of fear. Since they probably have a gun pointed in your direction, milliseconds count. 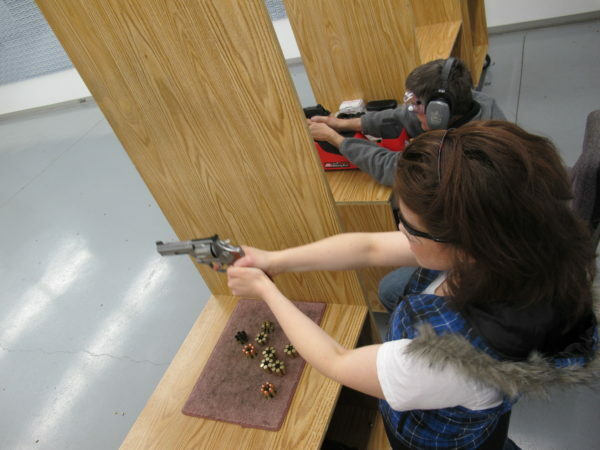 A simple way to practice and keep your muscle memory is to holster your gun the same way as you would draw it. Sure, it is backward from your draw, but the placement, grip, trigger control, and movements are the same. When you are learning to play a sport, we’ll use baseball, it takes practice and confidence before you can hit the ball regularly. The same goes for basketball, at first, you have to watch the ball when you dribble. After a while, you get a feel for it and can look at what’s around you. Another thing to remember is to reholster slowly. Even in a combat situation, you’re very rarely going to need to reholster in a hurry, and doing it slowly is the best way to avoid a self-inflicted hole in your leg. A lot of people carry at 3 o’clock, on your right hip, or 9 o’clock if you’re a left-handed shooter. Another common place just around your hip by your kidney. You probably know where it’s comfortable to carry for you. This is the spot you want to have your gun when you train. 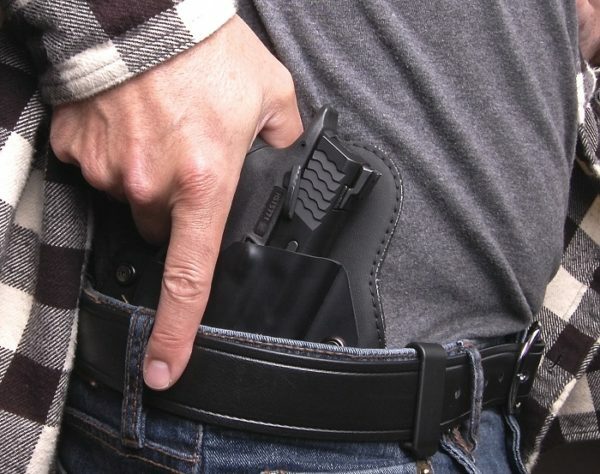 Don’t wear your gun someplace that is easier to access than your normal carry location when you train. You won’t have that muscle memory when you’re in a stressful situation. Your draw won’t be an automatic movement to grab your gun. You’ll have to think about it, and that takes time. Time you don’t have. Practicing the draw of your secondary gun is important too. This training might be more inventive than drawing from your hip. The motion will really depend on where you are carrying. 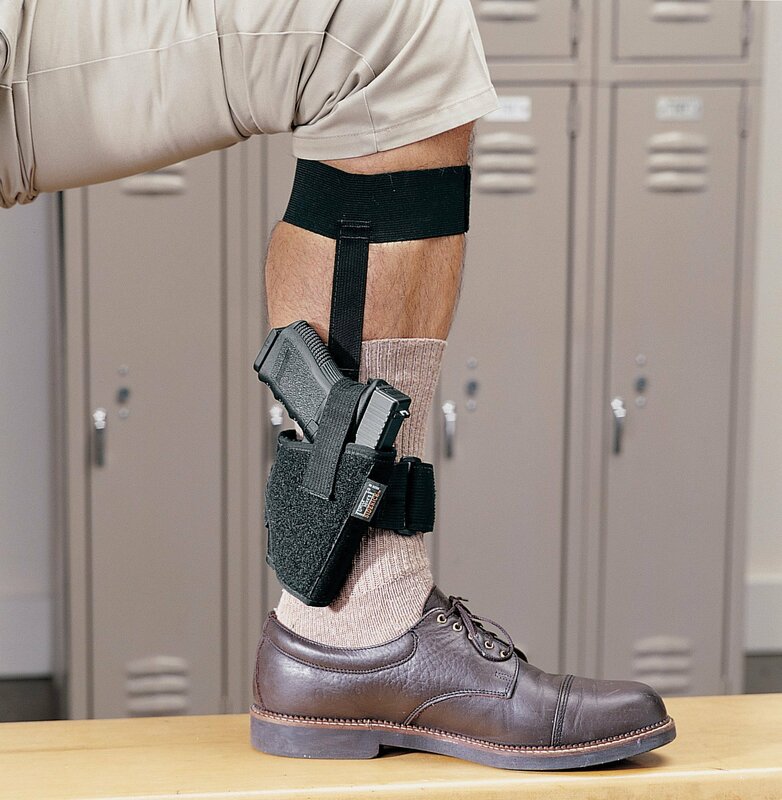 An ankle holster will have a different stance or reasons you might need it versus a backpack or purse carry. The same goes for your extra magazine. Are you carrying a magazine pouch on your other hip? Is the magazine carrier built into your main holster? These are all considerations you need to work into your practice sessions. 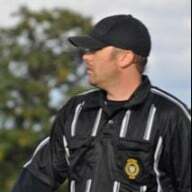 While it may seem like all this training can be a huge hassle, it is necessary. How much time should you spend? That depends on how comfortable you are with your draw. Speed and fluidity are key. You can’t have your gun snag on your clothing at your time of need. Practice your draw with different clothing and posture. If you only practice your draw standing up with t-shirts and jeans, what happens when it’s cold outside and you have a jacket or sweatshirt on? Or if you are sitting or kneeling? The more comfortable you are with your draw, the better you’ll do under pressure without having to think about what you’re doing. Now it’s your turn. What do you do to practice your draw? How often do you train? Tell us in the comment section below! One thing I notice in the first picture and perhaps it’s only an illustration, but shooting in a tine of danger or crisis does not allow time to aim. In Israel, they use what is called Instinctive Firing, where you bring the weapon up to your line of sight, cocking the weapon as you do so and fire based on line of sight and not the gun sights. You can get at least 1 practice draw in every day. At the end of the day, when it’s time to take your gun off, instead of just taking your gun out of the holster, get in a practice draw. Don’t do this! Assuming you are carrying loaded, you are just asking for a negligent discharge. One day, after practicing my draw, it occurred to me how important it is to keep my right (strong-side) hand free and I started carrying groceries and umbrellas with my left hand whenever possible. I’ve done this long enough that it is second nature This allows my right hand to always be free should I need to draw my weapon.